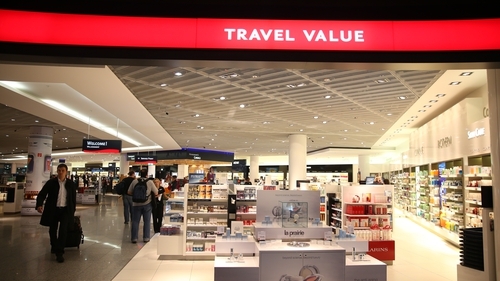 Current European legislation states duty free sales can occur on routes where passengers are travelling to a "third-country"
An organisation representing those involved in sales of duty free here has warned Government changes to draft laws designed to prepare the country for a no-deal Brexit will prevent the sale of such products at Irish airports. Expressing its concern about the amendments to the bill, the Irish Duty Free Alliance (IDFA) said the changes are out of step with the approach adopted by other European states. Current European legislation states duty free sales can occur on routes where passengers are travelling to a "third-country". But the IDFA said the proposed legislation as it is currently drafted would take away that right at Irish airports, while at the same time not stopping such sales on board planes travelling to the UK or on ferries travelling across the Irish Sea. It said European Commission advice last November stated duty free sales for passengers travelling to the UK must be allowed in the event of a hard-Brexit. If left as it stands, the proposed laws would put airports here at a distinct competitive disadvantage, the organisation said in a statement. As a result, the IDFA has called on the Government to reassess its position. "A hard Brexit scenario will be hugely detrimental to IDFA members and will require substantial investment to prepare for and mitigate against risks," said Frank O'Connell, chairman of the IDFA. "Duty free shopping for UK passengers represents perhaps the only silver lining in what is otherwise a very challenging outlook for our members, particularly regional airports who have a high proportion of UK routes." The IDFA represents all the major airports, ferry companies, retailers and suppliers involved in the duty free and travel retail sector here. The trade body said a report it commissioned found that if duty free rights were restored to passengers here, it could boost the Irish economy by around €45 million and lead to the creation of 450 jobs. It said it does not believe that there is any scope for duty free sales between the Republic of Ireland and Northern Ireland because it is banned under EU legislation that prohibits duty free operating on land borders.